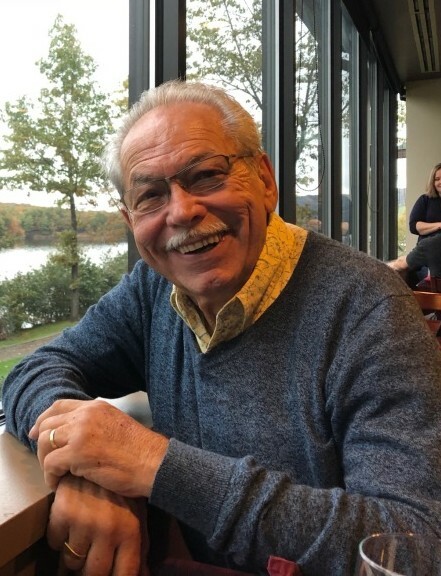 On December 2, 2018 Michael E. Salvarola cherished husband of Jane Salvarola, passed away suddenly at his home. He is predeceased by his parents Edward and Olivia Salvarola and his stepbrother Eddie Salvarola. Michael is survived by his beloved daughter Vanessa Salvarola-DePasquale and was a devoted father of six sons, Mickey Salvarola and his wife Diane, Dino Salvarola, Vincent Salvarola, Frankie Salvarola, Kevin Gazaway and his wife Melisa, Jason Gazaway and his wife Chrissy. dear brother of Lee Jabonski. A loving Pop to 11 grandchildren and 4 great-grandchildren. Michael was retired for 10 years working for Government contractors and was a mechanical engineer for Roper Industries. He was in the Air force National Guard for six years at Martins Airport as a weapons mechanic. Michael was a member of Lighthouse Church (Simple Jesus) in Pasadena, Maryland. Michael enjoyed traveling, attending boxing matches, collecting boxing memorabilia. He loved his Italian Heritage and enjoyed anything Italian. He loved spending time cooking with his family. He loved the Lord and the church he attended participating in Bible studies and volunteering for the less fortunate.